36 Commercial Real Estate & Properties in Picton East are listed in 2 categories. 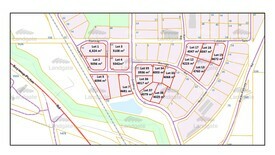 We have 32 Development LandsSale and 4 Industrial Warehouses Sale . For Sale 17 light industrial blocks, Picton East WA Block sizes vary from 3,936 m² to 6,324 m². Block price ranges from $295,200 to $474,300 + GST It is exciting times to be living and working in the beautiful Southwest region of Western Australia. "The South West regional economy is booming, with over $3.5 billion of major projects currently under construction and a further $6 billion either committed or under consideration". (South West Development commission) There definitely seems to be a buzz in the air with what is happening on our doorstep right now. Elders Real Estate is offering outstanding Picton East light industrial properties for sale at an exceptionally good price of $75/m² + GST. The developer has agreed to gravel hard stand the properties as part of the sale price. Each property has access to connect to three phase power and scheme water. Picton East industrial precinct is home to many thriving business operations, making for an ideal location to build premises to suit your own business interests. Given the location and proximity to the Southwest Highway and Bunbury Port Access roads it is hard to imagine there is a better opportunity to capitalise on what is arguably the best valued light industrial property on the market today. Exciting times, exciting possibilities..... Please call Patrick Williams 0407 990 886 or Noel Jones 0418 932 438 to express your interest for one or more of these fantastic light industrial properties. Located in the Picton Industrial area on the outskirts of Bunbury, Golding Crescent is the main road through the Estate giving you this prime opportunity! This property gives you the rare opportunity to live, work and play all in one, with it currently holding non conforming use approval from the shire . Business: Business premises Light Industrial with permitted residence Full street frontage Situated on 4255m2, business covering approx. 400m2 of sheds workshops 3 phased power Well established with hot mix driveway and dual gate entrance 20,000 gallon water tank and pressure pump Sheds: 18x9m Brick Iron freestanding shed with 3 phase power, concrete flooring, office/lunch room, shower toilet 7x12m lean too with 3 phase, dirt flooring 9x6m Zincalum free standing shed that is unpowered, concrete flooring 4x8m lean too with sliding door, unpowered Dwelling: (please ask us to share the information the Shire has provided on how this property may continue to be used as a residential home ) Bricked 3 bedroom, 2 bathroom high quality Ducted evaporative air conditioning Wood burning fire featuring a heat transfer to the bedrooms Separate study with built in timber cabinets and benchtops NBN ready! Large lounge room with fireplace Timber high ceiling dining room with a built in bar Tiled throughout the main living areas, carpet to the bedrooms and lounge room Kitchen featuring a large walk in pantry, gas cooktop Gas hot water system 3 Phased power to the house Enclosed rear patio Above ground pool Main bore pump which runs the reticulations for the lawns and gardens with a second bore to hand water and other uses Along side the dwelling is a 9x6m carport with a additional room off this, 9x6m Brick and Iron shed with a sliding doors adjoining wall with carport Call Skip today on 0417 292 923 to arrange your viewing! To be sold as individual lots Rare earth heavy industrial land to cater for the general industry that is growing rapidly in the South West area There is a registered public weighbridge available, power, water, phone and septic system. Situated in prime location with new sealed roads and close to access roads to Bunbury Port, Bunbury Bypass and South Western Highway to Perth Secure your business future today! To be sold as individual lots Rare earth heavy industrial land to cater for the general industry that is growing rapidly in the South West area. There is a registered public weighbridge available, power, water, phone and septic system. Situated in prime location with new sealed roads and close to access roads to Bunbury Port, Bunbury Bypass and South Western Highway to Perth. Secure your business future today! 4900m2 Corner Block in the developing Picton East Industrial Area. Close to Port access roads. Plenty of space to develop your industrial Workshop. Two Road Frontage. This property represents very good value and is ideally located for the transport routes in and out of the area. NEXT 3 TO SELL WILL SEE A 25% REDUCTION IN SALE PRICE WITH A REBATE FOR SITE WORKS OF $75,000 (T C APPLY). YES THIS IS CORRECT  DO NOT DELAY. 10 minutes to the CBD of Bunbury. Zoned light industrial. This lot is serviced, has 3 phase power, scheme water, this subdivision has excellent exposure to future Bunbury Bypass, close proximity to major transport corridors, road, rail port. Stage two of Port access road is complete, easy road train access. This sub division ticks all the boxes. The block itself is a prime location, it is a corner block and has a land area of 4047m2 which allows easy access for trucks etc. Priced to sell at $110/m2 including GST. Owner wants some action and will consider offers. Look at the plans for the Port, Collie surrounds. THIS IS EXCELLENT VALUE! NEXT 3 TO SELL WILL SEE A 25% REDUCTION IN SALE PRICE WITH A REBATE FOR SITE WORKS OF $75,000 (T C APPLY). YES THIS IS CORRECT  DO NOT DELAY. 10 minutes to the CBD of Bunbury. Zoned light industrial. This lot is serviced, has 3 phase power, scheme water, this subdivision has excellent exposure to future Bunbury Bypass, close proximity to major transport corridors, road, rail port. Stage two of Port access road is complete, easy road train access. This sub division ticks all the boxes. The block itself is a prime location, has a land area of 4021m2 which allows easy access for trucks etc. Priced to sell at $110/m2 including GST. Owner wants some action and will consider offers. Look at the plans for the Port, Collie surrounds. THIS IS EXCELLENT VALUE! NEXT 3 TO SELL WILL SEE A 25% REDUCTION IN SALE PRICE WITH A REBATE FOR SITE WORKS OF $75,000 (T C APPLY). YES THIS IS CORRECT  DO NOT DELAY. 10 minutes to the CBD of Bunbury. Zoned light industrial. This lot is serviced, has 3 phase power, scheme water, this subdivision has excellent exposure to future Bunbury Bypass, close proximity to major transport corridors, road, rail port. Stage two of Port access road is complete, easy road train access. This sub division ticks all the boxes. The block itself is a prime location, has a land area of 127m2 which allows easy access for trucks etc. Priced to sell at $110/m2 including GST. Owner wants some action and will consider offers. Look at the plans for the Port, Collie surrounds. THIS IS EXCELLENT VALUE! NEXT 3 TO SELL WILL SEE A 25% REDUCTION IN SALE PRICE WITH A REBATE FOR SITE WORKS OF $75,000 (T C APPLY). YES THIS IS CORRECT  DO NOT DELAY. 10 minutes to the CBD of Bunbury. Zoned light industrial. This lot is serviced, has 3 phase power, scheme water, this subdivision has excellent exposure to future Bunbury Bypass, close proximity to major transport corridors, road, rail port. Stage two of Port access road is complete, easy road train access. This sub division ticks all the boxes. The block itself is a prime location, has a land area of 4093m2 which allows easy access for trucks etc. Priced to sell at $110/m2 including GST. Owner wants some action and will consider offers. Look at the plans for the Port, Collie surrounds. THIS IS EXCELLENT VALUE! NEXT 3 TO SELL WILL SEE A 25% REDUCTION IN SALE PRICE WITH A REBATE FOR SITE WORKS OF $75,000 (T C APPLY). YES THIS IS CORRECT  DO NOT DELAY. 10 minutes to the CBD of Bunbury. Zoned light industrial. This lot is serviced, has 3 phase power, scheme water, this subdivision has excellent exposure to future Bunbury Bypass, close proximity to major transport corridors, road, rail port. Stage two of Port access road is complete, easy road train access. This sub division ticks all the boxes. The block itself is corner block 3956m2 which allows easy access for trucks etc. Priced to sell at $110/m2 including GST. Owner wants some action and will consider offers. Look at the plans for the Port, Collie surrounds. THIS IS EXCELLENT VALUE! NEXT 3 TO SELL WILL SEE A 25% REDUCTION IN SALE PRICE WITH A REBATE FOR SITE WORKS OF $75,000 (T C APPLY). YES THIS IS CORRECT  DO NOT DELAY. 10 minutes to the CBD of Bunbury. Zoned light industrial. This lot is serviced, has 3 phase power, scheme water, this subdivision has excellent exposure to future Bunbury Bypass, close proximity to major transport corridors, road, rail port. Stage two of Port access road is complete, easy road train access. This sub division ticks all the boxes. The block itself is 4760m2. Priced to sell at $110/m2 including GST. Owner wants some action and will consider offers. Look at the plans for the Port, Collie surrounds. THIS IS EXCELLENT VALUE! NEXT 3 TO SELL WILL SEE A 25% REDUCTION IN SALE PRICE WITH A REBATE FOR SITE WORKS OF $75,000 (T C APPLY). YES THIS IS CORRECT  DO NOT DELAY. 10 minutes to the CBD of Bunbury. Zoned light industrial. This lot is serviced, has 3 phase power, scheme water, this subdivision has excellent exposure to future Bunbury Bypass, close proximity to major transport corridors, road, rail port. Stage two of Port access road is complete, easy road train access. This sub division ticks all the boxes. The block itself is 4179m2. Priced to sell at $110/m2 including GST. Owner wants some action and will consider offers. Look at the plans for the Port, Collie surrounds. THIS IS EXCELLENT VALUE! NEXT 3 TO SELL WILL SEE A 25% REDUCTION IN SALE PRICE WITH A REBATE FOR SITE WORKS OF $75,000 (T C APPLY). YES THIS IS CORRECT  DO NOT DELAY. 10 minutes to the CBD of Bunbury. Zoned light industrial. This lot is serviced, has 3 phase power, scheme water, this subdivision has excellent exposure to future Bunbury Bypass, close proximity to major transport corridors, road, rail port. Stage two of Port access road is complete, easy road train access. This sub division ticks all the boxes. The block itself is corner block 4223m2 which allows easy access for trucks etc. Priced to sell at $110/m2 includes GST. Owner wants some action and will consider offers. Look at the plans for the Port, Collie surrounds. THIS IS EXCELLENT VALUE! NEXT 3 TO SELL WILL SEE A 25% REDUCTION IN SALE PRICE WITH A REBATE FOR SITE WORKS OF $75,000 (T C APPLY). YES THIS IS CORRECT  DO NOT DELAY. 10 minutes to the CBD of Bunbury. Zoned light industrial. This lot is serviced, has 3 phase power, scheme water, this subdivision has excellent exposure to future Bunbury Bypass, close proximity to major transport corridors, road, rail port. Stage two of Port access road is complete, easy road train access. This sub division ticks all the boxes. The block itself is 4098m2. Priced to sell at $110/m2 including GST. Owner wants some action and will consider offers. Look at the plans for the Port, Collie surrounds. THIS IS EXCELLENT VALUE! NEXT 3 TO SELL WILL SEE A 25% REDUCTION IN SALE PRICE WITH A REBATE FOR SITE WORKS OF $75,000 (T C APPLY). YES THIS IS CORRECT  DO NOT DELAY. 10 minutes to the CBD of Bunbury. Zoned light industrial. This lot is serviced, has 3 phase power, scheme water, this subdivision has excellent exposure to future Bunbury Bypass, close proximity to major transport corridors, road, rail port. Stage two of Port access road is complete, easy road train access. This sub division ticks all the boxes. The block itself is 4068m2. Priced to sell at $110/m2 including GST. Owner wants some action and will consider offers. Look at the plans for the Port, Collie surrounds. THIS IS EXCELLENT VALUE! NEXT 3 TO SELL WILL SEE A 25% REDUCTION IN SALE PRICE WITH A REBATE FOR SITE WORKS OF $75,000 (T C APPLY). YES THIS IS CORRECT  DO NOT DELAY. 10 minutes to the CBD of Bunbury. Zoned light industrial. This lot is serviced, has 3 phase power, scheme water, this subdivision has excellent exposure to future Bunbury Bypass, close proximity to major transport corridors, road, rail port. Stage two of Port access road is complete, easy road train access. This sub division ticks all the boxes. The block itself is 4003m2. Priced to sell at $110/m2 including GST. Owner wants some action and will consider offers. Look at the plans for the Port, Collie surrounds. THIS IS EXCELLENT VALUE! NEXT 3 TO SELL WILL SEE A 25% REDUCTION IN SALE PRICE WITH A REBATE FOR SITE WORKS OF $75,000 (T C APPLY). YES THIS IS CORRECT  DO NOT DELAY. 10 minutes to the CBD of Bunbury. Zoned light industrial. 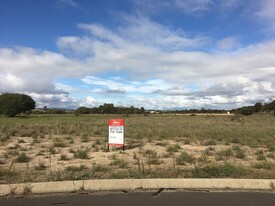 This lot is serviced, has 3 phase power, scheme water and excellent exposure to future Bunbury Bypass, close proximity to major transport corridors, road, rail port. Stage two of Port access road is complete, easy road train access. This sub division ticks all the boxes. The block itself is 4001m2. Priced to sell at $110/m2 including GST. Owner wants some action and will consider offers. Look at the plans for the Port, Collie surrounds. THIS IS EXCELLENT VALUE! NEXT 3 TO SELL WILL SEE A 25% REDUCTION IN SALE PRICE WITH A REBATE FOR SITE WORKS OF $75,000 (T C APPLY). YES THIS IS CORRECT  DO NOT DELAY. 10 minutes to the CBD of Bunbury. Zoned light industrial. This lot is serviced, has 3 phase power, scheme water and excellent exposure to future Bunbury Bypass, close proximity to major transport corridors, road, rail port. Stage two of Port access road is complete, easy road train access. This sub division ticks all the boxes. The block itself is a corner block 4198m2 which allows easy access for trucks etc. Priced to sell at $110/m2 including GST. Owner wants some action and will consider offers. Look at the plans for the Port, Collie surrounds. THIS IS EXCELLENT VALUE! NEXT 3 TO SELL WILL SEE A 25% REDUCTION IN SALE PRICE WITH A REBATE FOR SITE WORKS OF $75,000 (T C APPLY). YES THIS IS CORRECT  DO NOT DELAY. 10 minutes to the CBD of Bunbury. Zoned light industrial. This lot is serviced, has 3 phase power, scheme water, this subdivision has excellent exposure to future Bunbury Bypass, close proximity to major transport corridors, road, rail port. Stage two of Port access road is complete, easy road train access. This sub division ticks all the boxes. The block itself is a prime location. Has a land area of 5342m2 which allows easy access for trucks etc. Priced to sell at $110/m2 including GST. Owner wants some action and will consider offers. Look at the plans for the Port, Collie surrounds. THIS IS EXCELLENT VALUE! NEXT 3 TO SELL WILL SEE A 25% REDUCTION IN SALE PRICE WITH A REBATE FOR SITE WORKS OF $75,000 (T C APPLY). YES THIS IS CORRECT  DO NOT DELAY. 10 minutes to the CBD of Bunbury. Zoned light industrial. This lot is serviced, has 3 phase power, scheme water, this subdivision has excellent exposure to future Bunbury Bypass, close proximity to major transport corridors, road, rail port. Stage two of Port access road is complete, easy road train access. This sub division ticks all the boxes. The block itself is a prime location. Has a land area of 4025m2 which allows easy access for trucks etc. Priced to sell at $110/m2 including GST. Owner wants some action and will consider offers. Look at the plans for the Port, Collie surrounds. THIS IS EXCELLENT VALUE! NEXT 3 TO SELL WILL SEE A 25% REDUCTION IN SALE PRICE WITH A REBATE FOR SITE WORKS OF $75,000 (T C APPLY). YES THIS IS CORRECT  DO NOT DELAY. 10 minutes to the CBD of Bunbury. Zoned light industrial. This lot is serviced, has 3 phase power, scheme water, this subdivision has excellent exposure to future Bunbury Bypass, close proximity to major transport corridors, road, rail port. Stage two of Port access road is complete, easy road train access. This sub division ticks all the boxes. The block itself is a prime location. Has a land area of 4079m2 which allows easy access for trucks etc. Priced to sell at $110/m2 including GST. Owner wants some action and will consider offers. Look at the plans for the Port, Collie surrounds. THIS IS EXCELLENT VALUE! NEXT 3 TO SELL WILL SEE A 25% REDUCTION IN SALE PRICE WITH A REBATE FOR SITE WORKS OF $75,000 (T C APPLY). YES THIS IS CORRECT  DO NOT DELAY. 10 minutes to the CBD of Bunbury. Zoned light industrial. This lot is serviced, has 3 phase power, scheme water, this subdivision has excellent exposure to future Bunbury Bypass, close proximity to major transport corridors, road, rail port. Stage two of Port access road is complete, easy road train access. This sub division ticks all the boxes. The block itself is a prime location with a land area of 4017m2 which allows easy access for trucks etc. Priced to sell at $110/m2 including GST. Owner wants some action and will consider offers. Look at the plans for the Port, Collie surrounds. THIS IS EXCELLENT VALUE! NEXT 3 TO SELL WILL SEE A 25% REDUCTION IN SALE PRICE WITH A REBATE FOR SITE WORKS OF $75,000 (T C APPLY). YES THIS IS CORRECT  DO NOT DELAY. 10 minutes to the CBD of Bunbury. Zoned light industrial. This lot is serviced, has 3 phase power, scheme water, this subdivision has excellent exposure to future Bunbury Bypass, close proximity to major transport corridors, road, rail port. Stage two of Port access road is complete, easy road train access. This sub division ticks all the boxes. The block itself is a corner block 3937m2 which allows easy access for trucks etc. Priced to sell at $110/m2 including GST. Owner wants some action and will consider offers. Look at the plans for the Port, Collie surrounds. THIS IS EXCELLENT VALUE! NEXT 3 TO SELL WILL SEE A 25% REDUCTION IN SALE PRICE WITH A REBATE FOR SITE WORKS OF $75,000 (T C APPLY). YES THIS IS CORRECT  DO NOT DELAY. 10 minutes to the CBD of Bunbury. Zoned light industrial. This lot is serviced, has 3 phase power, scheme water, this subdivision has excellent exposure to future Bunbury Bypass, close proximity to major transport corridors, road, rail port. Stage two of Port access road is complete, easy road train access. This sub division ticks all the boxes. The block itself is a prime location with three road frontages, it is a corner block, has a land area of 5342m2 which allows easy access for trucks etc. Priced to sell at $110/m2 including GST. Owner wants some action and will consider offers. Look at the plans for the Port, Collie surrounds. THIS IS EXCELLENT VALUE! NEXT 3 TO SELL WILL SEE A 25% REDUCTION IN SALE PRICE WITH A REBATE FOR SITE WORKS OF $75,000 (T C APPLY). YES THIS IS CORRECT  DO NOT DELAY. 10 minutes to the CBD of Bunbury. Zoned light industrial. This lot is serviced, has 3 phase power, scheme water, this subdivision has excellent exposure to future Bunbury Bypass, close proximity to major transport corridors, road, rail port. Stage two of Port access road is complete, easy road train access. This sub division ticks all the boxes. The block itself is a prime location with two road frontages, it is not a corner block, has a land area of 5108m2 which allows easy access for trucks etc. Priced to sell at $110/m2 including GST. Owner wants some action and will consider offers. Look at the plans for the Port, Collie surrounds. THIS IS EXCELLENT VALUE! NEXT 3 TO SELL WILL SEE A 25% REDUCTION IN SALE PRICE WITH A REBATE FOR SITE WORKS OF $75,000 (T C APPLY). YES THIS IS CORRECT  DO NOT DELAY. 10 minutes to the CBD of Bunbury. Zoned light industrial. This lot is serviced, has 3 phase power, scheme water, this subdivision has excellent exposure to future Bunbury Bypass, close proximity to major transport corridors, road, rail port. Stage two of Port access road is complete, easy road train access. This sub division ticks all the boxes. The block itself is a prime location with three road frontages, it is a corner block, has a land area of 6325m2 which allows easy access for trucks etc. Priced to sell at $110/m2 including GST. Owner wants some action and will consider offers. Look at the plans for the Port, Collie surrounds. THIS IS EXCELLENT VALUE!